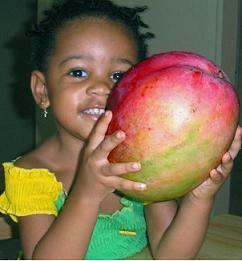 Antigua and Barbuda is a country full and rich in varieties of fruits. But this special festival "thrills me so much", it's called the mango festival. Each year the country celebrates their rich agricultural harvest of "sweet big brighten mangoes" hmmm.........so exciting, the festival is usually held at the Christian valley agricultural station, the purpose of this festival was to promote the utilization of mangoes and other fruits as well as to support the rejuvenation of the station. 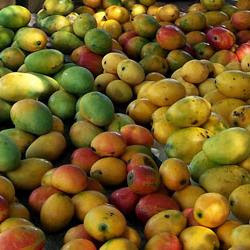 Though many fruits trees are boasted, the jewel in the crown is the collection of 25 elite mango varieties, including Trindad's "Julie" Haiti's "Madam Francisque", Cuba's "Piniero", Asian"Mum Mai Doc" and a score of Florida varieties. The festival offers numerous activities and workshops such as budding and grafting workshops, tours of the nature trails, film, sweet mango story telling, live entertainment, book sale, sales of fruits and plants, sales of agro-processed products, agro-processor's competition, food stalls by Local Community group. The main special event"Magic Mango Menu Culinary Competition" is held for professional hotel chefs and bartenders plus an event demonstrating cooking techniques using green mangoes. The magic, mango culinary competition is an exciting event with representatives from Antigua and Barbuda's most prestigious resorts.